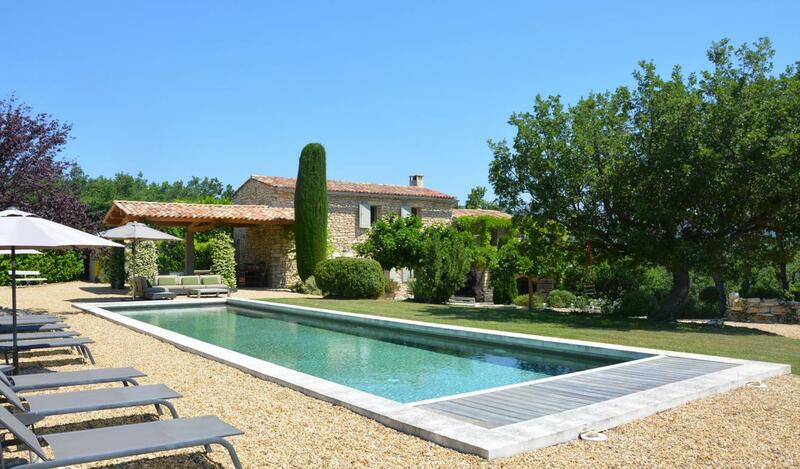 On the heights between Gordes and Walls, comfortable property, not isolated, with landscaped garden, pool, overlooking the village of Murs and the Monts de Vaucluse, enjoying an excellent level of equipment. The unobstructed view invites relaxation and rejuvenation. The house has, on the garden level, an entrance with WC, the main bedroom I and bathroom and bedroom II with 2 single beds and shower room and toilet. On the first floor a living room with open fireplace and a lounge with TV, the other three bedrooms of the house have each a bathroom / toilet or shower room / wc and are arranged on both sides of the lliving area of the house, which allows a great privacy to everyone. The pool measures 17.5 x 4 meters, is heated by heat pump and secured by a shutter. 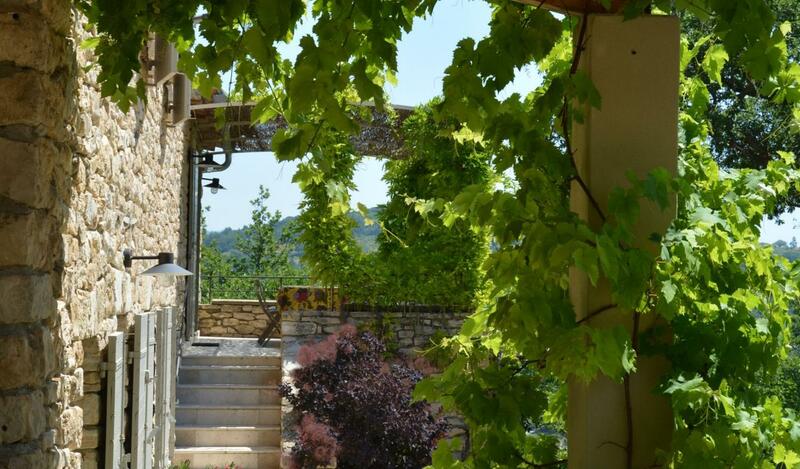 Unfenced grounds of 1.5 hectares with a beautiful olive grove and lavender. Please contact us for prices and availability.